As spring sports pick up, we are thrilled to report the continuing success of girls soccer. 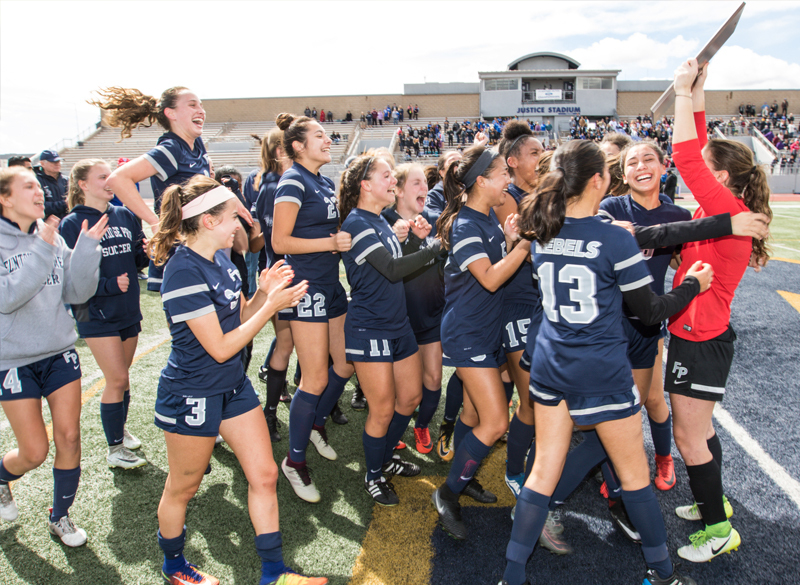 After bringing home their first ever CIF Championship title, the team blazed through regionals to make it to the CIF regional finals this Saturday, 3/10, at St. Francis at 6:00 pm, where the girls will take on the Academy of Our Lady of Peace. Now ranked 11th in State and 34th nationally, the team took down Centennial 1-0 last night in regionals round II and look ahead toward continued State success. Girls basketball’s journey came to an end in Round I of regionals, where they fell to Mater Dei Catholic 78-55. The week before, the girls fell to Beverly Hills in the CIF division finals, where they came so close with a final score of 46-50 and ended their 22-win streak. Join us in congratulating the team on their endless hard work, leading to yet another incredible season! We’re so proud of you, girls. Switching gears into spring athletics, we have a full weekend for all our Rebels fans, beginning with the Redondo Nike Invitational today, 3/9, and tomorrow, 3/10. While that happens, boys volleyball heads to the Providence Tournament, baseball takes on Chadwick, and softball takes on Firebaugh and Flintridge Sacred Heart. Volleyball has kicked off the season with five consecutive wins, gearing up for a highly competitive and exciting season.